Just yesterday afternoon I received the 50th email informing me that another person had joined me for the Scott Kelby Worldwide Photowalk in Oxford on 7th October 2017. It’s been four weeks since registration opened, and I’m really amazed that my photowalk has filled up so fast. I’m now looking forward to an amazing walk and meeting friends old and new in Oxford. I must say I have had some help from friends, all over the world, who have been sharing my walk, encouraging people to join me 🙂 Thanks guys & gals – you know who you are. If you want to join you’ll have to sign up for a waitlist place, and hope that one of the already signed up folks can’t make it. However if you’re motivated to join me, but can’t then why not join another walk in a location close to you. Find a walk near you on the Photowalk website will help. All these photowalks are within reasonable distance from Oxford, and still have spaces left. 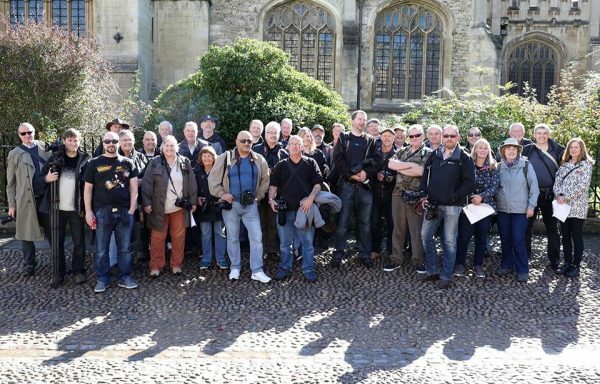 Here’s the group shot from last years Oxford walk, looking forward to seeing some of these faces again, and many new ones. Please put me on the waiting list for the Oxford walk. You need to join the wait list on the walk page. It’s the green button on the right side under my smiling face.